With the upcoming holiday season approaching, the frigid temperatures and snowy conditions of winter are not far behind. 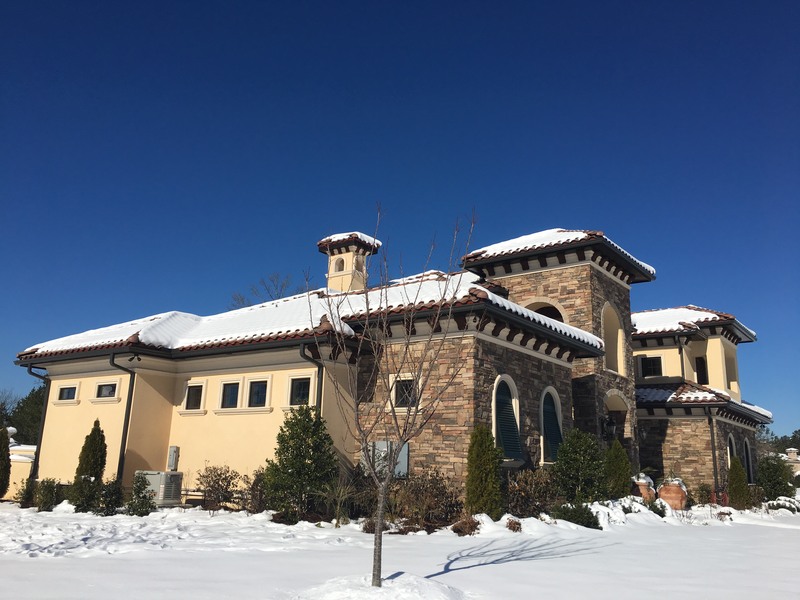 Take a look at these tips to make sure your concrete tile roof is prepared to keep your home warm, cozy and protected all winter long. Clean gutters and downspouts. With outside temperatures dropping, trees will begin shedding their leaves, limbs and branches, if they haven’t done so already. Make sure your gutters are clear of this debris so that rainwater and melting snow can drain properly. Failure to do so may cause water to back up onto the roof, freeze, and create ice dams, which can cause extensive damage to your roof. Regions that do not endure freezing temperatures can also experience damage due to clogged gutters. Areas affected can include the landscaping, roof decking, stucco and even the foundation. Trim overhanging tree limbs. The increased wind speeds and the extra weight of snow can cause overhanging tree limbs to bend and break with the potential to land directly onto your roof. This could lead to damaged roof tiles and water intrusion issues. Look for any troubling areas. This includes broken or cracked tiles and damaged flashing on the roof, as well as any signs of water intrusion in the attic. When inspecting these areas, you’ll want to use a ladder and proper safety equipment. Be sure the ladder is securely footed and remember to never walk on an icy roof. It is advised that you contact a licensed and bonded roofing contractor to take a closer look and perform a thorough inspection and/or repair. Once you have taken the necessary steps to winterize your concrete tile roof and had it professionally inspected by a licensed and bonded roofing contractor, you can rest assured that your home is ready for the most wonderful time of the year! For more information regarding tile roof maintenance, visit Eagle’s Quick Facts page or contact your local Eagle Account Representative. More in "Concrete Roofing Tile"